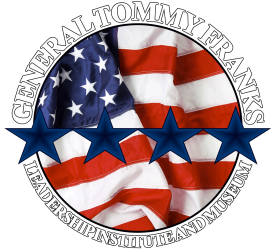 Volunteers are an active part of the mission of the General Tommy Franks Leadership Institute and Museum and the Celebration of Freedom! Volunteers may donate their time in a myriad of ways including helping with vendor set-up, children's activities or working the largest silent auction in the state. If you would like to give your time to make this event the best it can be, please call D'Lese at (580) 726-5900 or fill out the form below and we will be in touch.